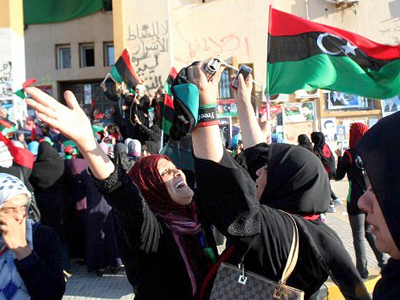 Libya is turning a new page in its history following the killing of its former leader Muammar Gaddafi. 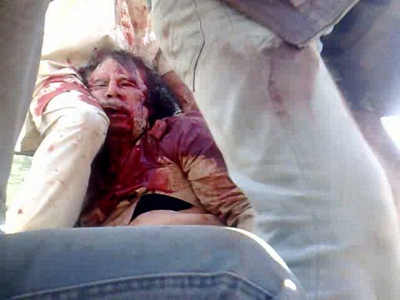 But the footage of Gaddafi's dead and broken body was so graphic; some are wondering why it was broadcast for the public to see. 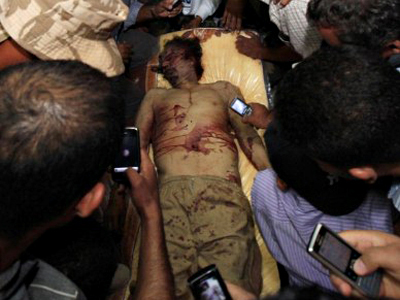 On Friday, the United Nations human rights office has urged for inquiry into Gaddafi’s death. 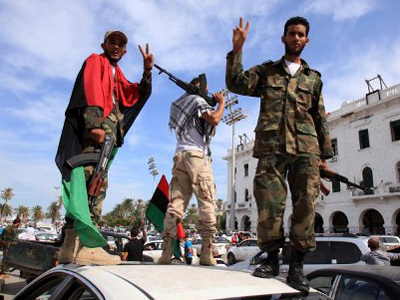 The death of the former Libyan strongman was hailed by the British prime minister. Earlier in September, David Cameron pledged that Britain would help hunt down the Libyan leader. NTC fighters were even dissuaded from their shoot-to-kill policy – agreeing in August they would take him alive. 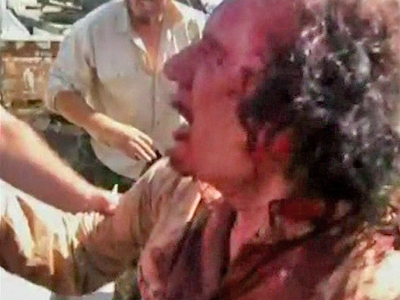 The back-slapping has been fuelled by the gruesome footage of Gaddafi’s body splashed across headlines on Thursday. 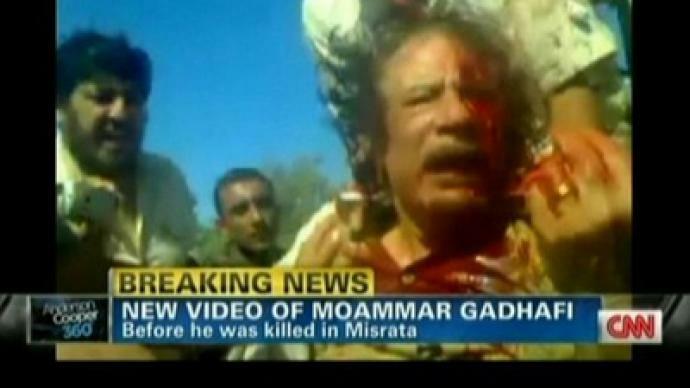 The video showed Gaddafi was still alive when he was captured, but clearly that did not last long. Some suggest this was an execution and question why this is being applauded. This is a view shared by many on Twitter. There are several posts already concerned about the coverage, questioning the necessity of such graphic images. 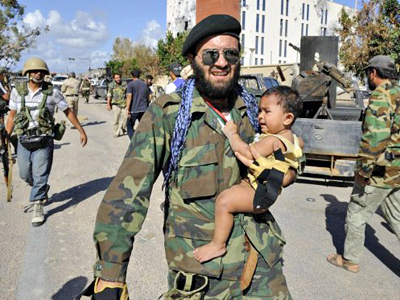 And why Gaddifi’s death – dictator or not – has been reported with so much jubilation. One tweet, by @matthewburgess1, has labeled the images horrific and suggests any other figure would not have such graphic images displayed. Another suggests media outlets are having a competition. Sally Bercow, a prominent activist in the UK says she sees why the same was not done for Osama Bin Laden. Back then, President Obama refused to release the images of Bin Laden’s mangled body, saying it could incite more violence or be used as propaganda. But for the Gaddafi, the vultures were too quick.